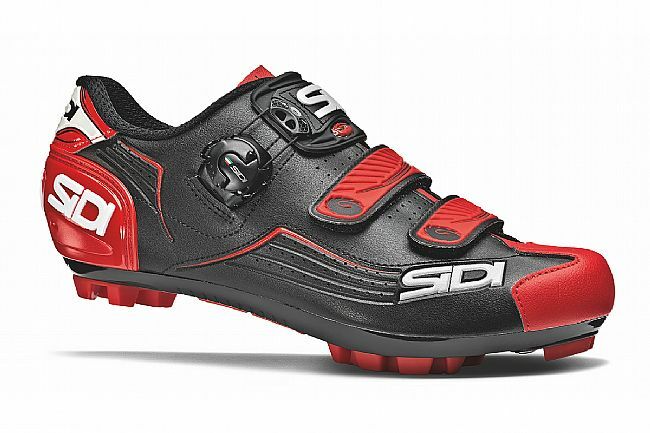 The Sidi Trace MTB Shoe provides a more attainable entry-point to the world of Sidi comfort and performance. 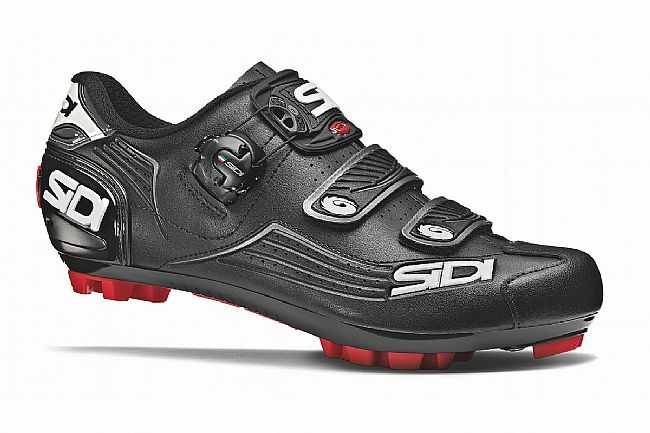 Fully featured, the Trace doesn't just bear the Sidi name, it follows through on Sidi quality as well. With the new RS17 sole and Tecno-3 dial closure system, the Trace is designed for mountain biking success. Constructed from Politex, this new synthetic features several overlapping layers with different physical-mechanical properties. The compacted PVC is then coupled to two fabrics (knitted fabric + felt) that is then film dyed for long-lasting color retention. Politex offers strong resistance to ripping, laceration, stretching and fading. With their Tecno-3 retention system, the micro-adjustable system dials in fit along the entire length of the shoe, adapting the upper to the shape of the foot for a customized fit. 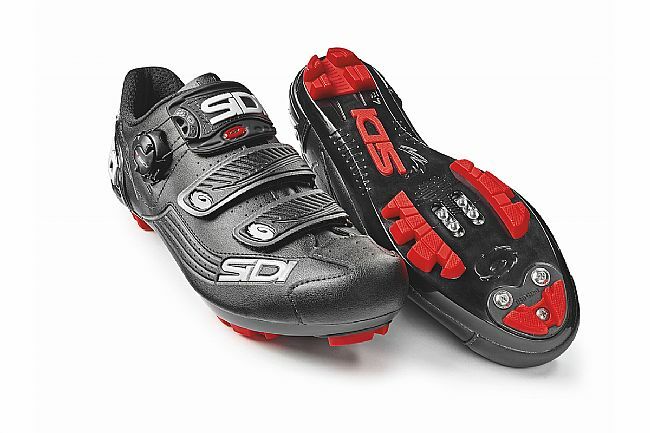 SIDI’s famously reliable and replaceable closures are improved by an all new proprietary SIDI Wire material that is completely non-binding for intuitive and effortless on-the-fly adjustments. Like most SIDI small parts, the Tecno-3 buckle is serviceable and replaceable. 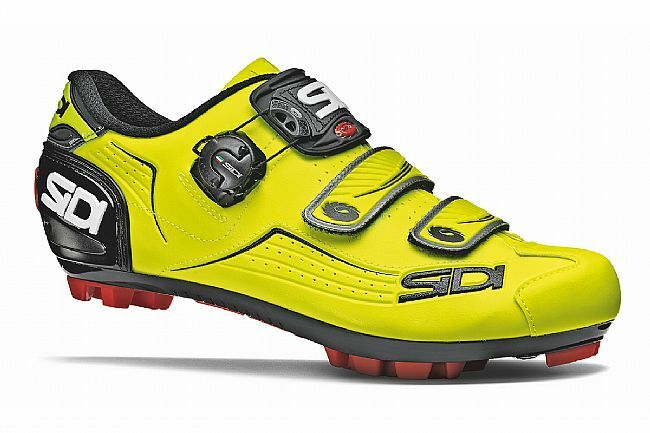 Down below, Sidi's new RS17 sole strikes the optimal balance between on-the-bike stability, and off-the-bike viability that all truly good mountain bike shoes must possess. 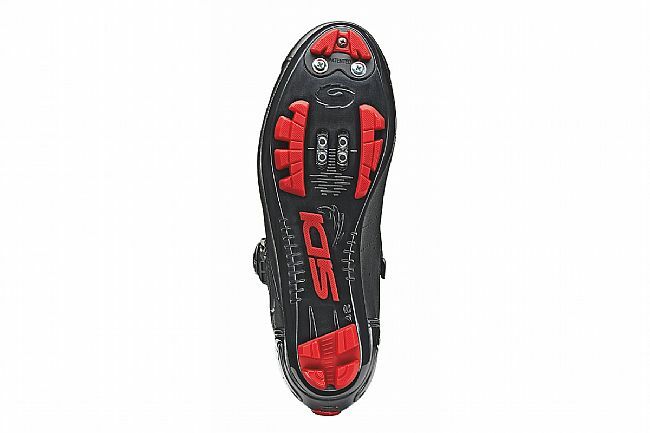 The nylon sole features polyurethane inserts for a stiff pedaling response, while the tread pattern below is designed for good grip and mud dispersal, with non-slip inserts throughout. Replaceable toe spikes allow for the high-wear areas to be swapped out as needed, and offers additional mounting area for crampons or toe spikes.